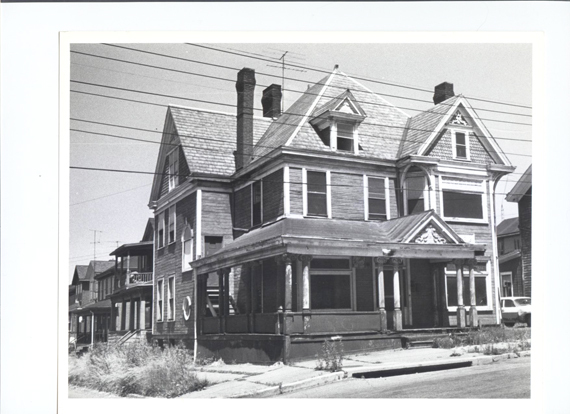 ELHistSoc -In Limbo: 200 Block, West Third St. In Limbo: 200 Block, West Third St. 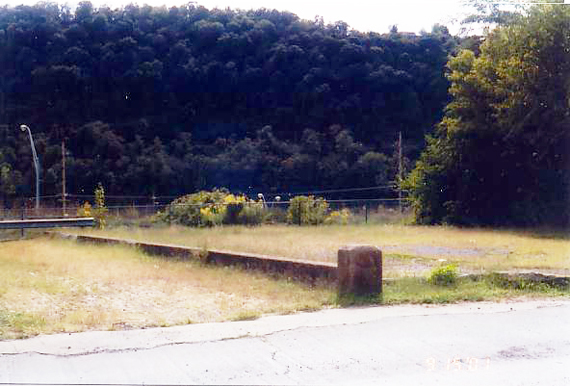 The "limbo" period refers to the years between 1955 when the plans for the freeway around the downtown sections of East Liverpool were made and the time when the construction of that highway finally got underway in the 1990s. 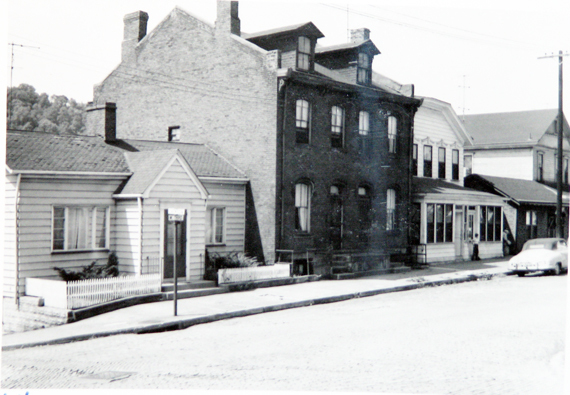 During that time period much of 2nd and 3rd street deteriorated as owners of properties saw no sense in investing money for repairs and upkeep knowing the state was eventually going to take the property for road construction. 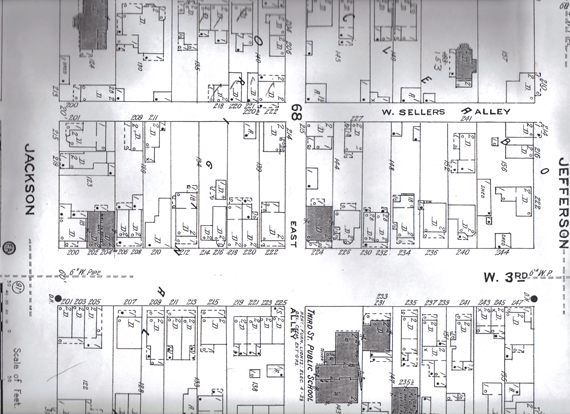 The 200 block of West 3rd street began with the western side of Jackson Street and ended at the eastern side of Jefferson Street. 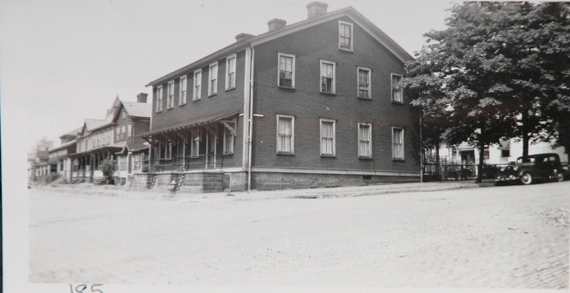 It was a residential block but 3rd Street school was located in that block. 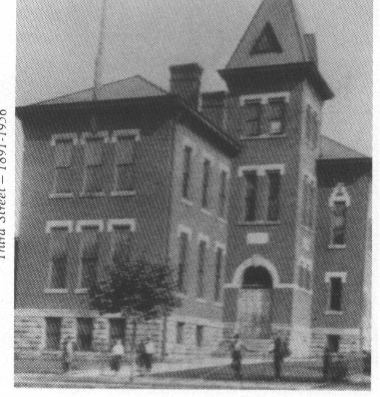 That school was closed in 1956 and was torn down not long after that. 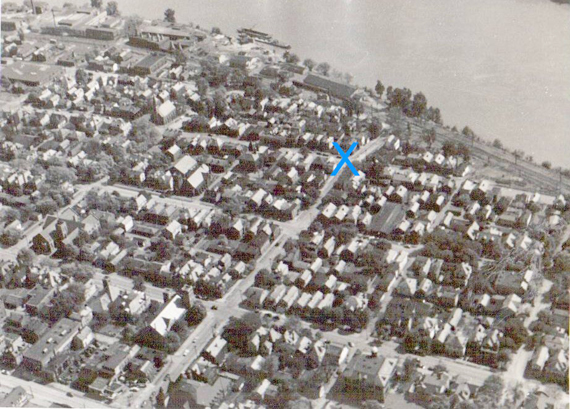 The "X" in this picture is placed at the intersection of West Third Street and Jefferson Street. In the upper left hand corner one can see a church. That church is on the south eastern corner of Jackson and W. 3rd. The above map is a San born Fire Insurance Map of 1923. The 200 block of West 3rd Street is recreated here as it existed in 1923. Using this map we will be able to match pics to the addresses on the map helping the reader to fix the various locations in their mind. 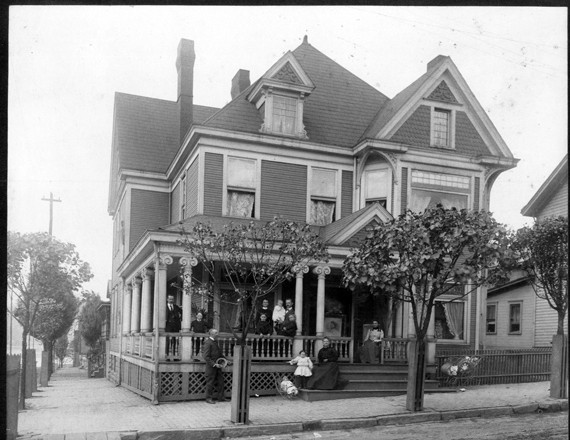 This house, 247 W. 3rd Street as it appeared in the early 1900s. 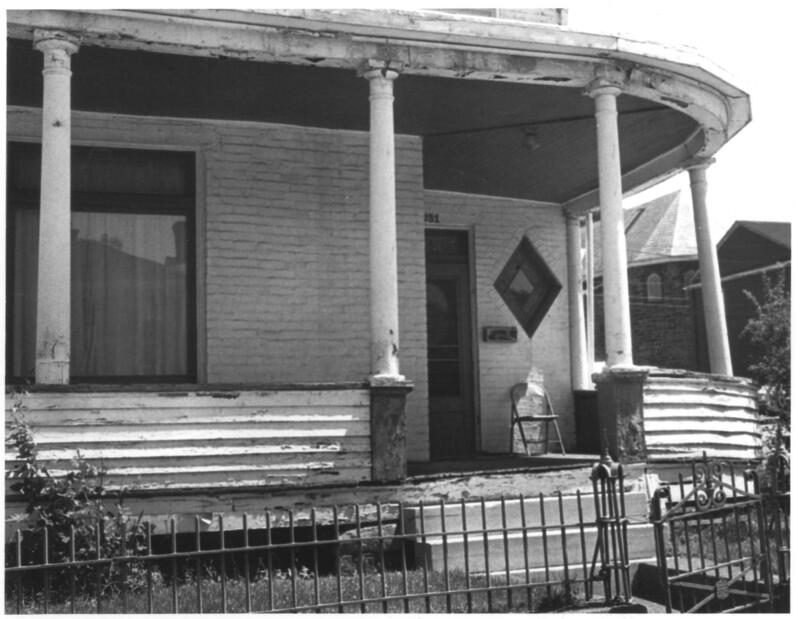 The same house, 247 W. 3rd Street as it appeared in the 1970s during the "limbo" period. 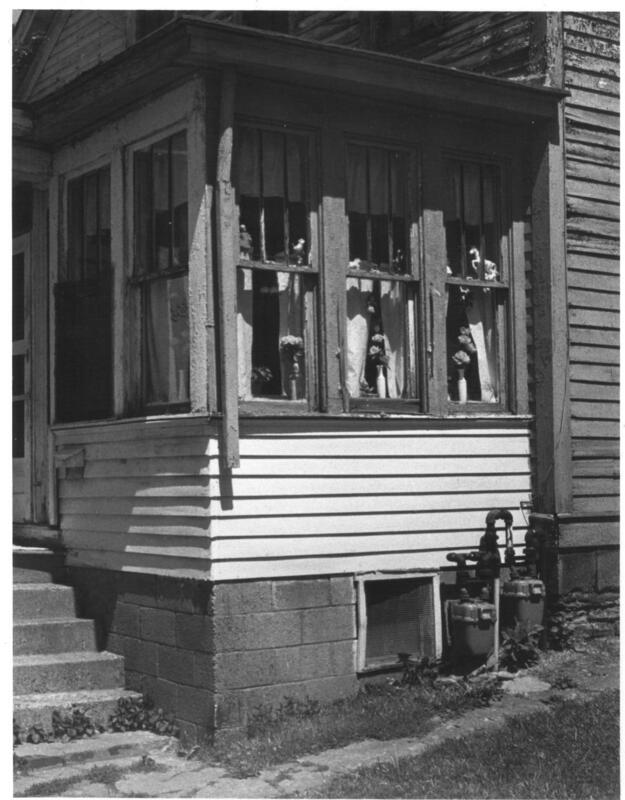 Two thirty one (also carried the street address 233)W. 3rd Street. 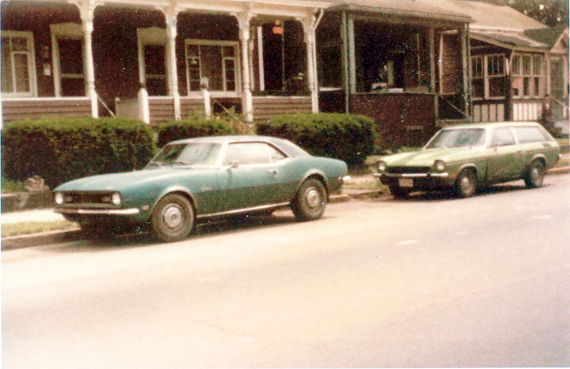 The Coleman's lived there up into the 70s. This picture is also from the 70s. Between 231 and 235 W. 3rd Street. Two thirty five W. 3rd Street. Back over her shoulder you can see 231, 235, 237, 241 and maybe 243-245 W. 3rd Street. Picture from the Inger Lloyd collection. 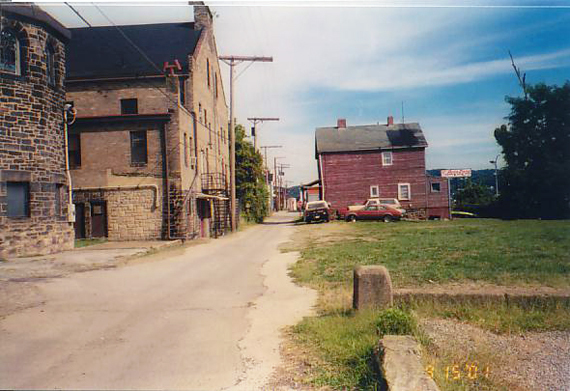 The empty lot beside 231 where 3rd Street School used to be. Picture from the Inger Lloyd collection. Where 231 and 3rd Street School used to be. Picture from the Inger Lloyd collection. 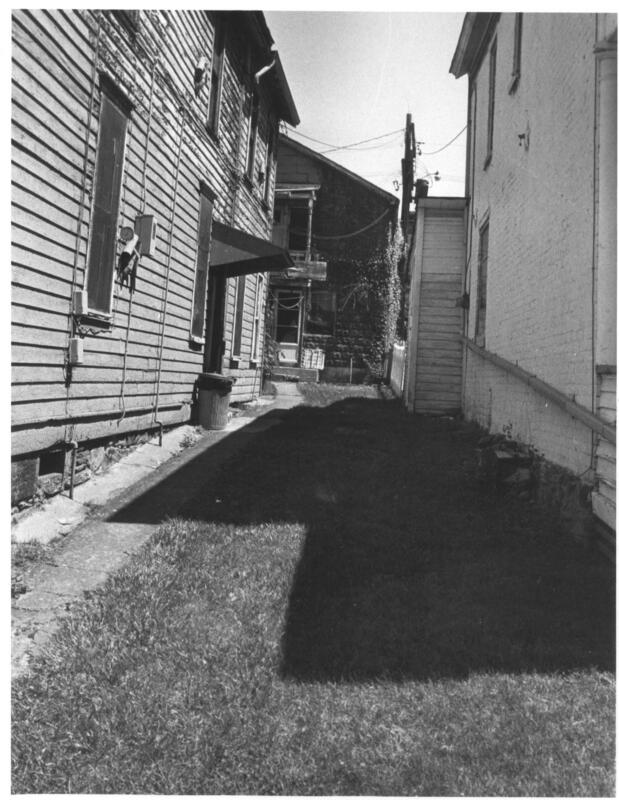 West Church Alley behind where 3rd Street School used to be. Picture from the Inger Lloyd collection. Houses 213-211, 209, 207 West 3rd Street. Another view of 202-204 from the opposite side and after 206-208 is gone. Left to Right, 210, 214-16, 218, 220, 222 West 3rd Street, After 222 is East Alley. 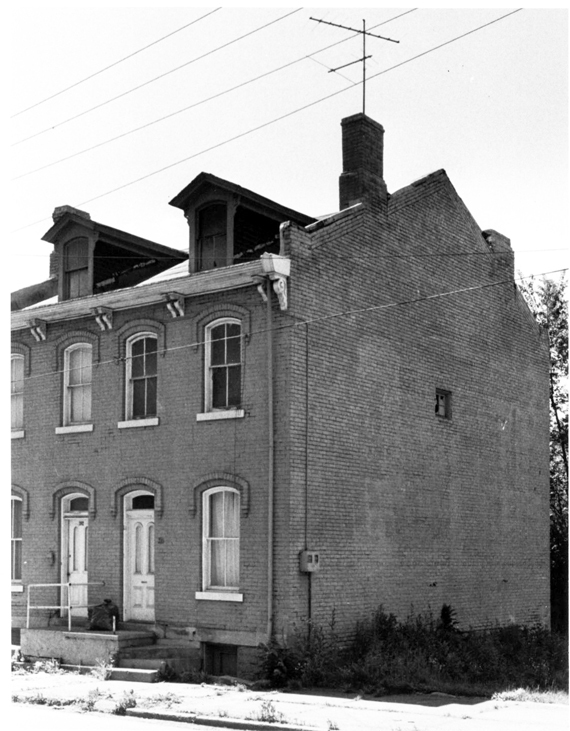 This house, the first building on the north side of the 200 block of W. 3rd was 201, 203, 205 W. 3rd Street. Also visible in the picture are three other houses, 207, 209, 211-213 W.3rd Street. Picture from the Museum of Ceramics. 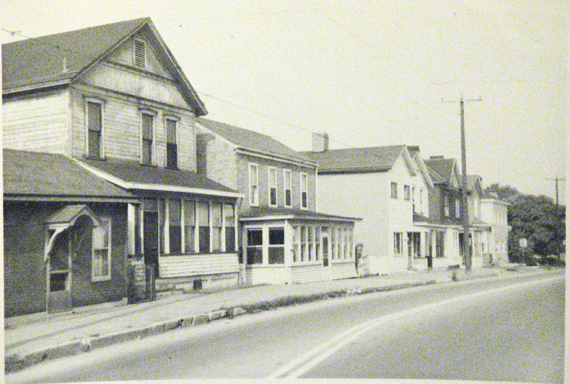 In 1970 there were 35 addresses for the 200 block of W. 3rd Street. Of those 33 were occupied. 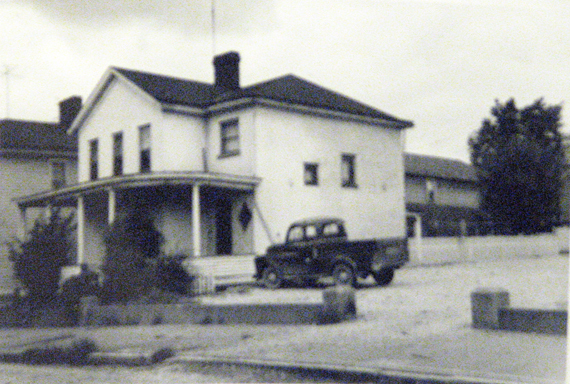 By 1975 there were 33 addresses of which 28 were occupied. 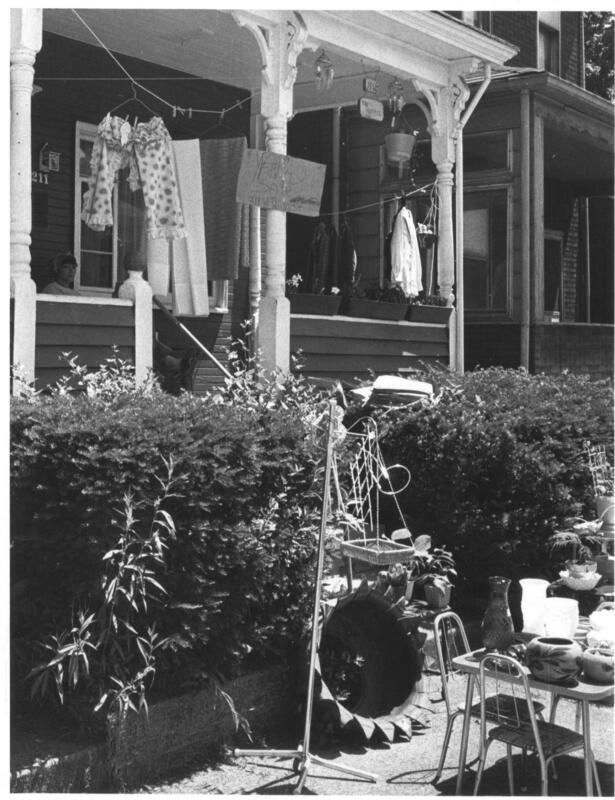 By 1980 there were 25 street addresses of which 18 were occupied. 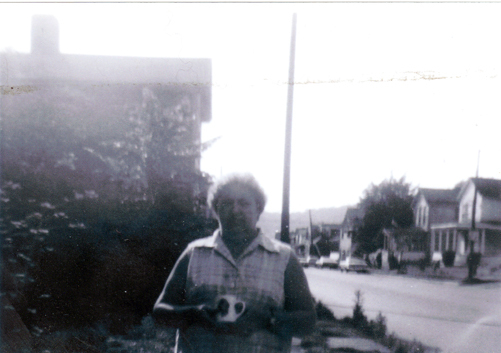 By 1985 no street addresses.